*AdvaCare Pefloxacin Tablets are GMP certified. 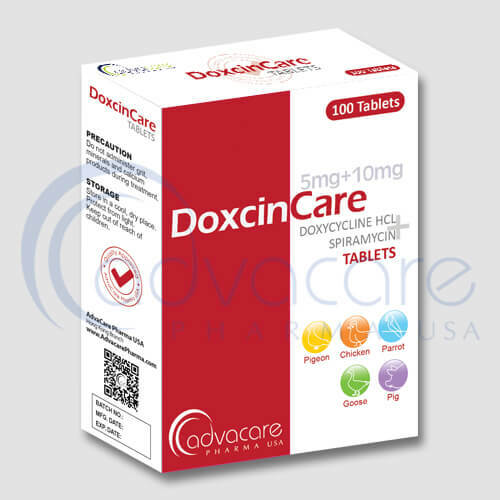 **AdvaCare Pefloxacin Tablets are manufactured in our facilities located in China, India and USA. 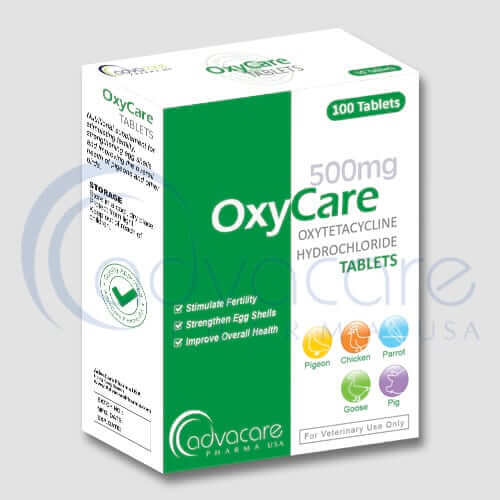 AdvaCare is a GMP manufacturer of Pefloxacin tablets. 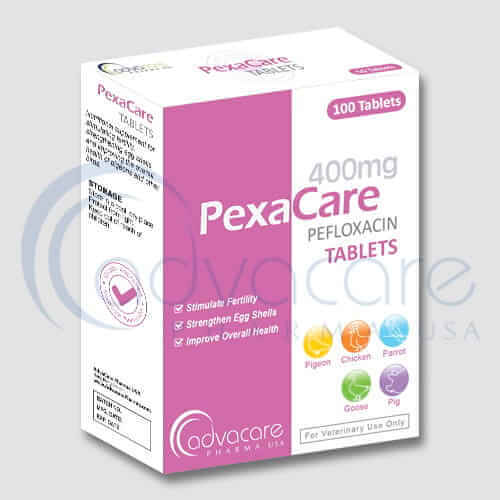 Pefloxacin is a quinolone antibiotic used to treat bacterial infections. 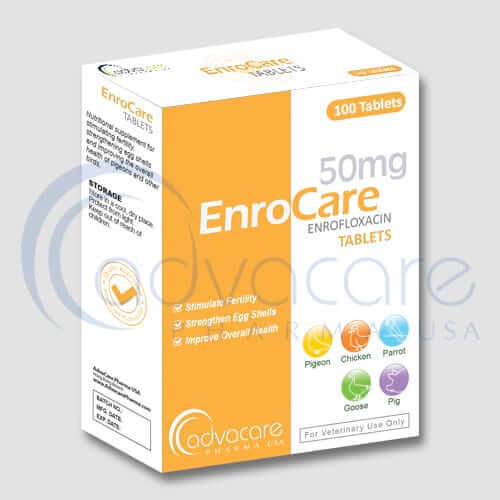 It is categorized as a broad-spectrum antibiotic that is active against both Gram-positive and Gram-negative bacteria. Pefloxacin functions by inhibiting DNA gyrase, a type II topoisomerase, and topoisomerase IV, which is an enzyme necessary to separate and replicated DNA, thereby inhibiting cell division. As with all veterinary products, some unwanted effects can occur from the use of pefloxacin tablets. Always consult veterinary physician or animal care specialist for medical advice before use. Common side effects include: nausea, vomiting, gastric pain, dizziness, insomnia, and allergic skin reactions. For a comprehensive list of all possible effects, consult a veterinary physician. Always consult a veterinary physician or animal care specialist before using pefloxacin tablets. If the condition does not improve or becomes worse, then call a veterinary physician or animal care specialist. Refer to an animal care specialist for guidelines on dosage. Do not exceed what they advise, and complete the full treatment, as stopping early can result in a recurrence or worsen the problem. 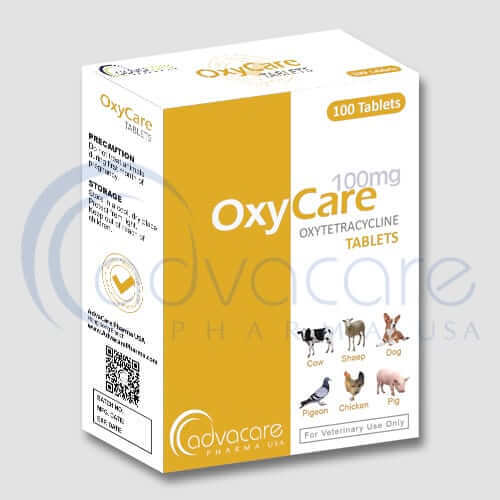 Consult with an animal care specialist about any other medications that are being taken by the animal, and their medical history, before their treatment with pefloxacin tablets.